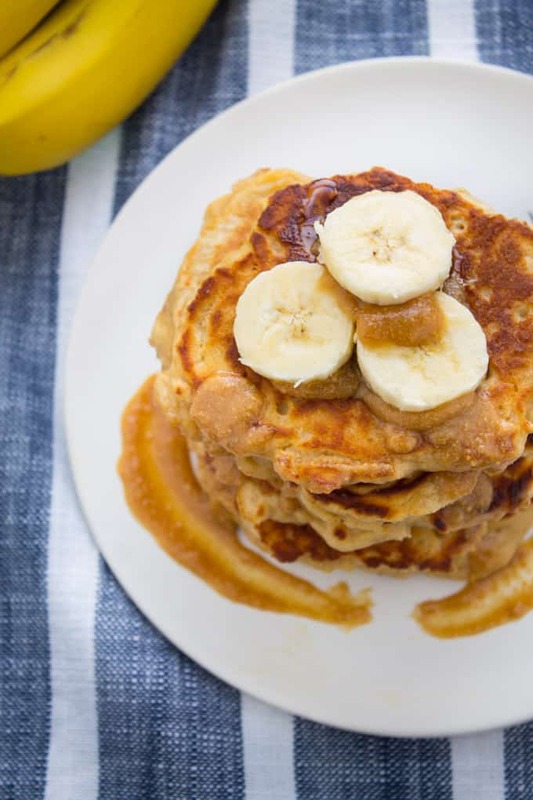 These whole-wheat peanut butter banana kefir pancakes are light and fluffy, sweet and satisfying. 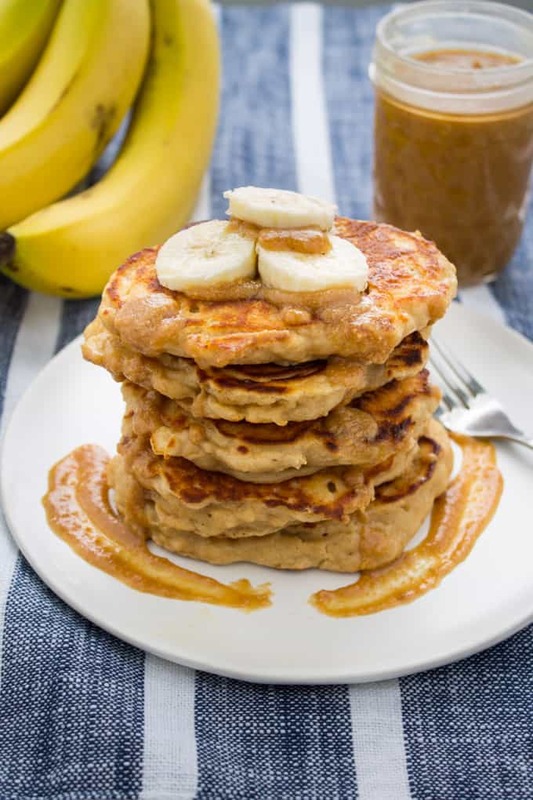 The classic peanut butter and banana combo makes this a perfect breakfast for the whole fam to enjoy. It’s funny because I’m not usually a go-to pancake girl. I’m more of an eggs for breakfast kind-of-gal. If we ever brunch together, you can bet your bottom dollar that I’m ordering the omelette or the Bene, not the French toast or pancakes. I like savory > sweet when it comes to the first meal of the day. But low and behold here we are, eating pancakes two weeks in a row. Two weekends ago, Steve and I went out with our friends on a dinner and drinks date. We had a lot of fun but stayed out way past our bedtime (which is 10pm to be clear :)). 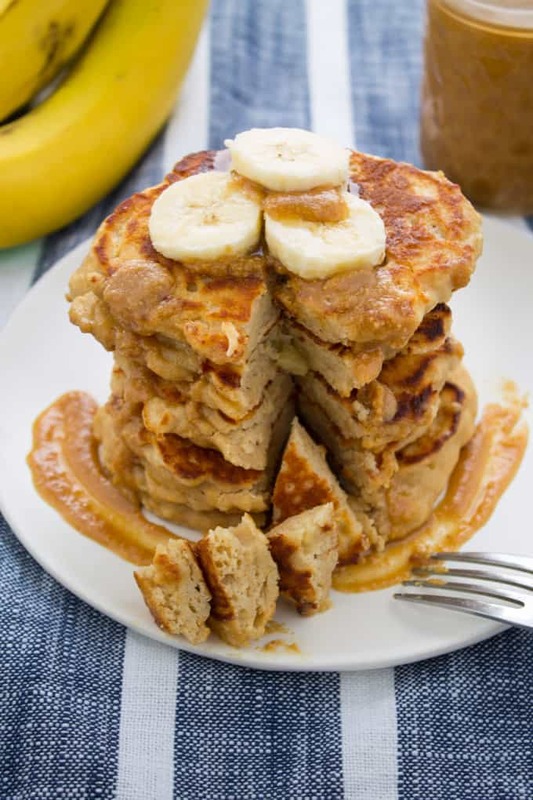 The next morning we slept in and I woke up craving carbs…peanut butter banana pancakes to be specific. 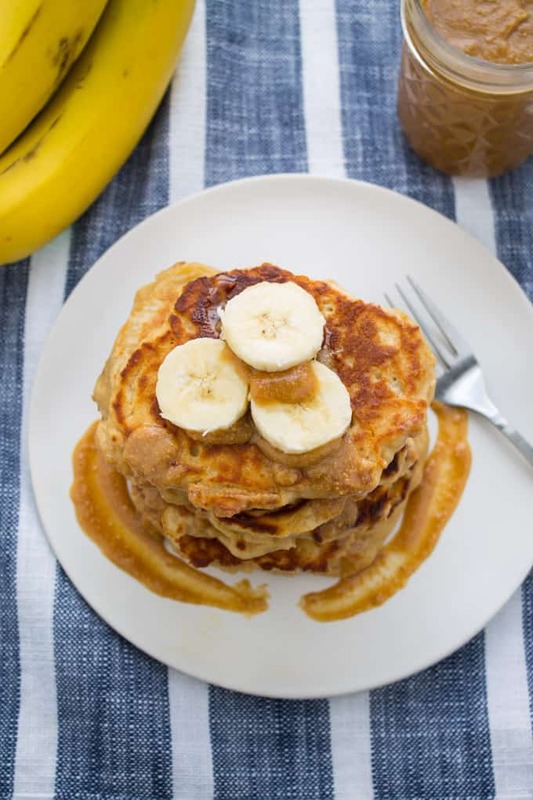 I’m not even sure where that craving stemmed from – it’s not like I’ve ever ordered peanut butter banana pancakes off a menu before. But the craving was there. So I obliged and whipped up some quick pancakes. I was actually surprised at how quickly it took to make them. I always think of making pancakes as being this very time consuming endeavor but that’s probably just because I so very seldom make them. I didn’t have buttermilk but I did have vanilla kefir so I used that instead (hello protein and probiotics). I also swapped white flour for white whole-wheat flour for extra fiber and threw some nanners in there to fill my breakfast fruit quota. As for the peanut butter, I actually mixed that with some maple syrup to make a protein-filled sweet spread for the pancakes. And this was not meant to be a recipe for the blog. I just whipped this up on a weekend whim and happened to be very pleased with it. I posted a picture to Insta and someone requested the recipe so I thought why not put it up on the blog?! 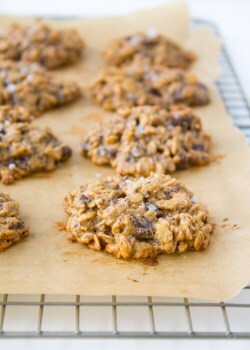 In a medium mixing bowl, whisk together flour, baking powder, baking soda, salt and cinnamon until combined. In a small mixing bowl, whisk together kefir and eggs until combined. Fold in banana slices. Add the wet ingredients to the dry and stir to combine until ingredients are just moistened (be careful not to overmix). In a large nonstick pan or griddle, heat butter over medium heat. For each pancake, add 1/4 cup of batter to the pan, spreading the batter out with the back of the measuring cup into a round shape. Cook until the surface of the pancakes starts to bubble, about 3 minutes. Flip pancakes over, using a spatula, and cook for another 3 minutes, or until second side is lightly browned. Meanwhile, mix together maple syrup and peanut butter and microwave for 30 seconds, or until warm. Spread maple peanut butter spread over pancakes and serve immediately. 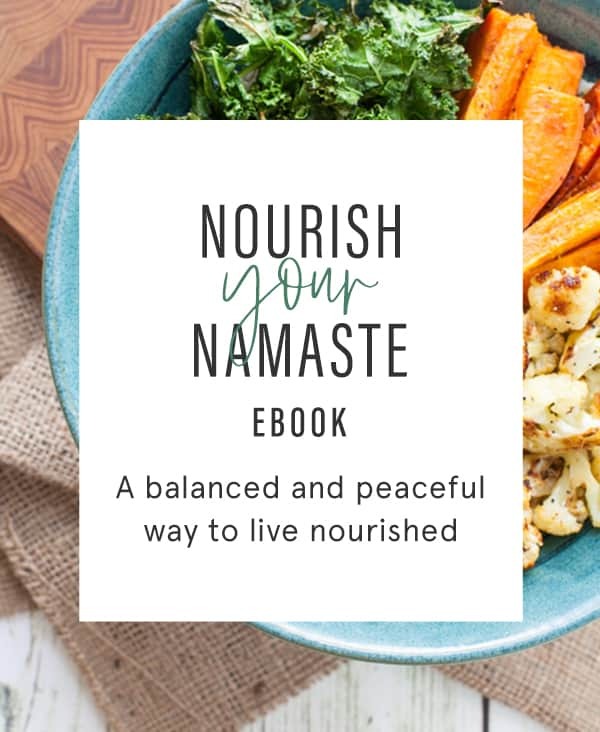 Check out these recipes for more peanut butter inspired recipes: ell me, have you ever tried kefir in your pancakes before? Looks like such a good recipe! Love the idea of combining PB and maple syrup. 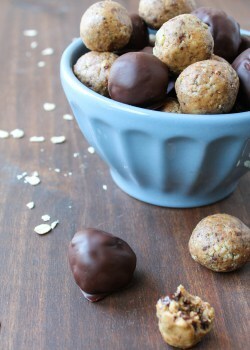 Sundays are always a sweet breakfast day and I’m thinking I’ll have to try this recipe out! Love this recipe. Only have plain kefir. Would that work? Thanks! Sure, plain works! You just may have to add more cinnamon or syrup to taste, for sweetness. Hi, nice recipe! Just one question, do the great gut-friendly bacteria in kefir stay alive even after cooking? I thought they can’t withstand heat. Can you please let me know? Thanks! That’s right – cooking will diminish the probiotics present in the kefir. Thanks, Elizabeth! Yes! Makes for a delicious topping and an easy way to use less syrup. 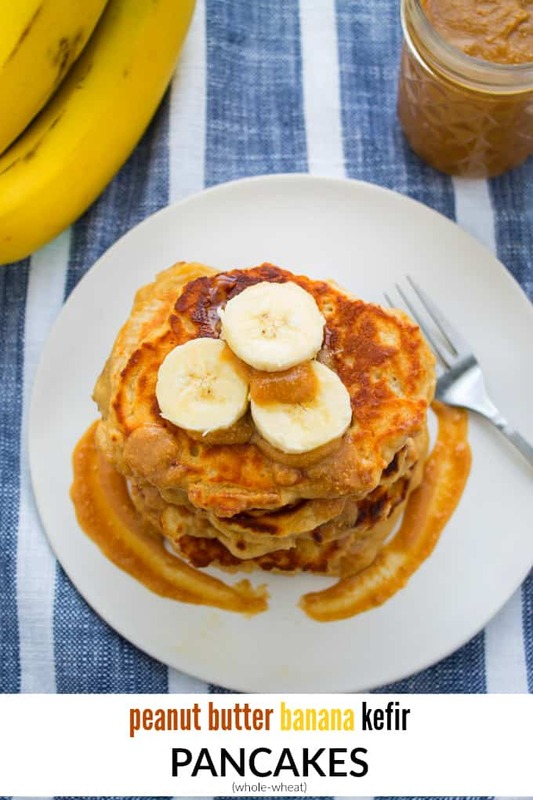 What a fantastic idea to add kefir to pancakes to make them gut-friendly! And you can never go wrong with the awesome combo of pb and banana! I kid you not, this is very close to the exact recipe I make pretty much every week. 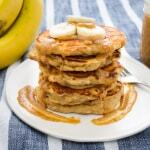 I freeze the extras for busy mornings and I always top my pancakes with PB and bananas! And funny, the buttermilk and kefir were next to each other in the fridge the last time I made them and I did think “hmmmm, I wonder if I could swap in kefir?” and now I know the answer. Totally doing that with my next batch! No way! Great minds…Haha yes, swap in the kefir! You can’t tell the difference and you get a probiotic punch bonus! Also, freezing the extras is a great idea. I need to do that next time. This is a great idea. I haven’t ever thought to incorporate kefir into my pancakes. I will definitely be giving this a try. 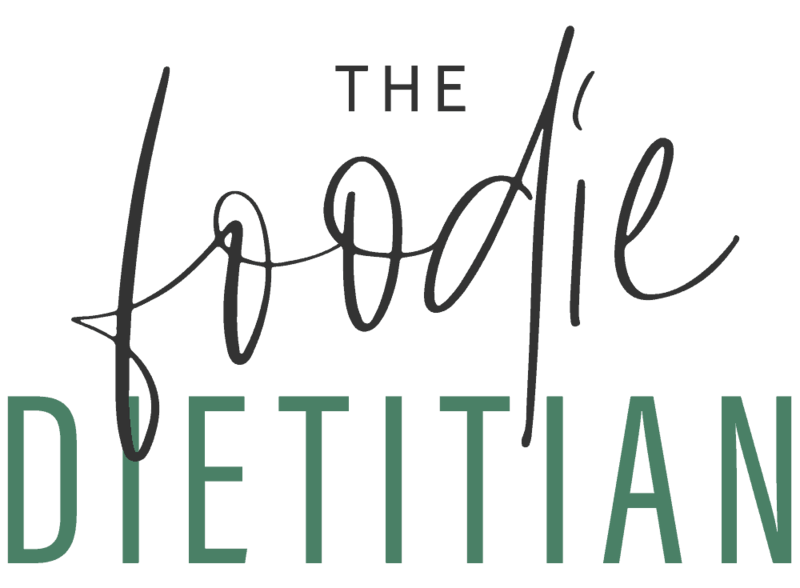 I love recipes that are not only delicious, but good for our gut health, too. Thanks for this recipe!! 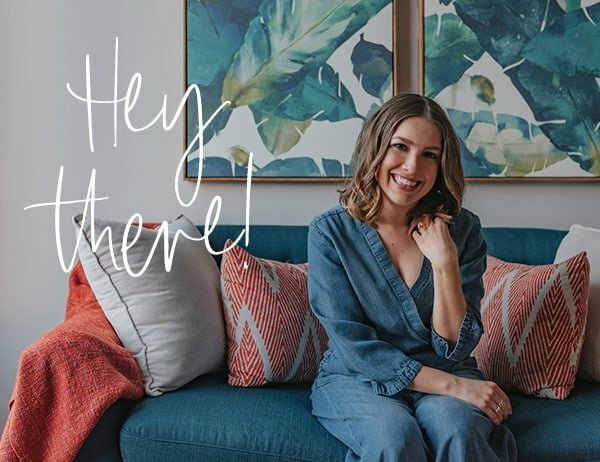 Thanks, Danielle! Let me know how they turn out!